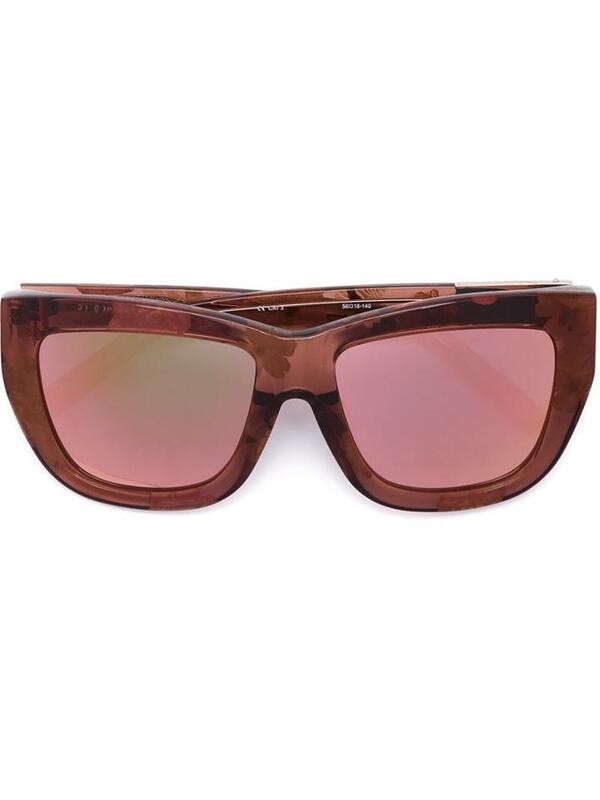 Rose pink acetate Linda Farrow x 3.1 Phillip Lim 'C5' sunglasses from 3.1 Phillip Lim featuring square frames, tinted lenses, a floral print and straight arms with angled tips. This item comes with a protective case. Size: One Size. Color: Pink/purple. Gender: Female.